This month we’re helping you get your home ready for the new season. Autumn is just around the corner and with our range of new vintage designs and sultry autumnal shades, creating an Autumn Vintage setting has never been easier. 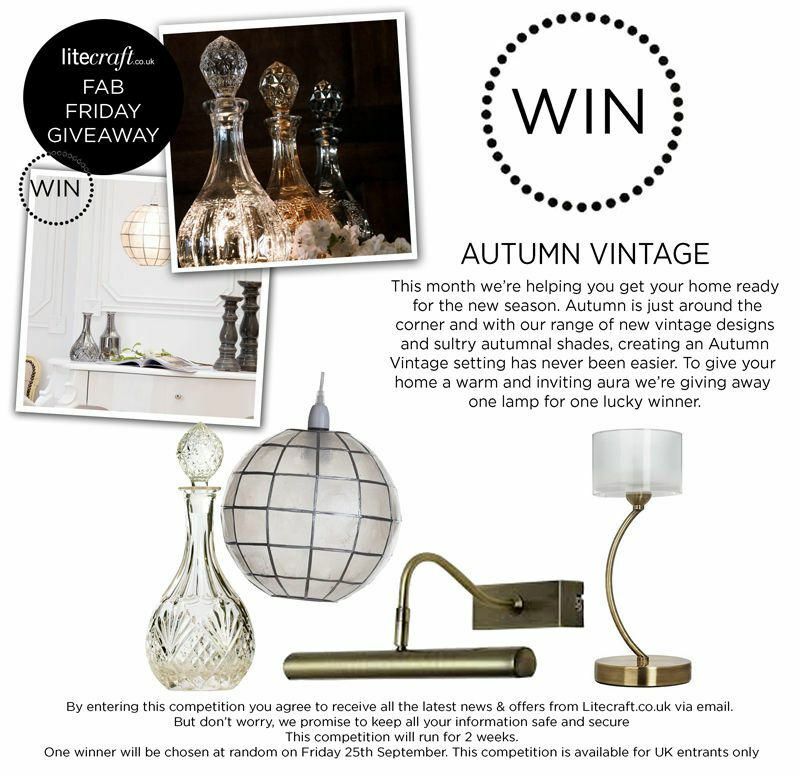 To give your home a warm and inviting aura we’re giving away one lamp for one lucky winner. By entering this competition you agree to receive all the latest news & offers from Litecraft.co.uk via email. But don’t worry, we promise to keep all your information safe and secure This competition will run for 2 weeks. One winner will be chosen at random on Friday 25th September. Would love the desk lamp on the right. Thank you for yet another great giveaway. So elegant and pure class.. This is a stunning lamp. I love it!! Enter your e-mail address to receive information on free giveaways, exclusive vouchercodes and exciting products from Litecraft. You can unsubscribe at any time.